Areaware Infinite Tree, Green by Areaware at Home Decor Outlet Store. MPN: JMTIG. Hurry! Limited time offer. Offer valid only while supplies last. Johannes Molin created the Infinite Tree out of his love and memory of the Scandinavian forest as seen through the lens of his degree in mathematics. Johannes Molin created the Infinite Tree out of his love and memory of the Scandinavian forest as seen through the lens of his degree in mathematics. 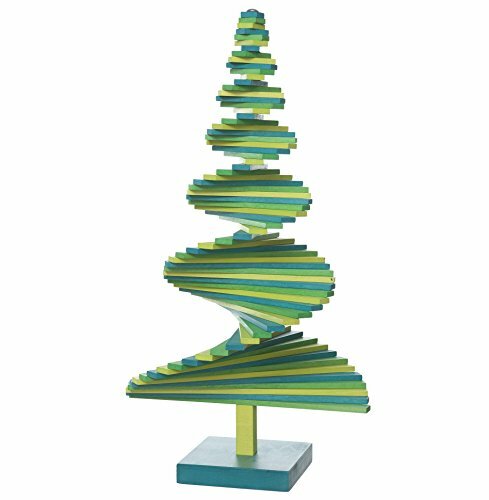 This tree is designed using measurements from the Golden Ratio, a universal proportional system that is thought to play a role in the human perception of beauty. If you have any questions about this product by Areaware, contact us by completing and submitting the form below. If you are looking for a specif part number, please include it with your message. Vickerman THE2860-07 Mango Heartland Everyday Tree - 6 ft.